A comprehensive manual that tackles the critical issues surrounding youth sports. 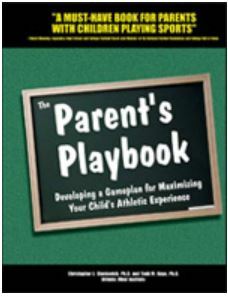 It gives parents and coaches the tools needed to help children and adolescents succeed in sports and life. Respected sport psychologist Dr. Todd Kays reveals techniques to promote a fun and enriching athletic environment, develop essential communications skills, and use mental training to achieve peak performance on and off the field. Available as an instantly downloadable e-book or print edition.